"Only Bartolini is good enough"
Jean-Baptiste is based on the lovely Island of Corsica and his reach is all corners of the world. 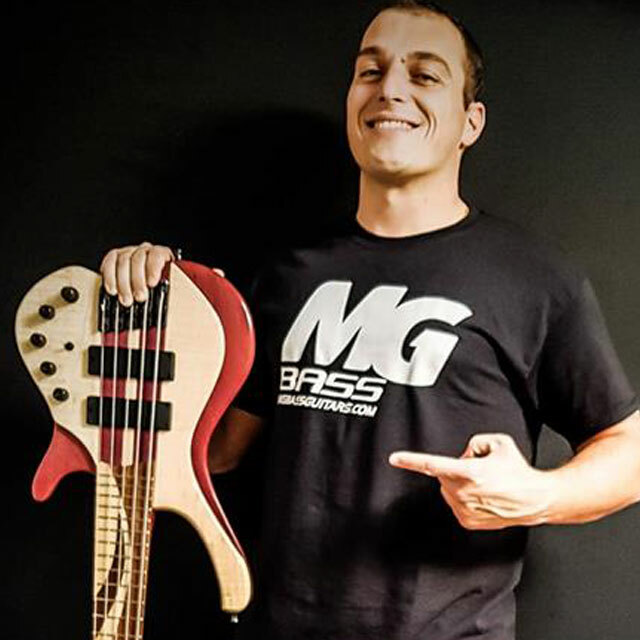 He is a technical bassist, a composer and an arranger who works with several different music producers and promoters for productions and festivals throughout Europe. He is often called upon to collaborate (from composition to arranging to actually performing) music in a variety of genres – he is comfortable in all styles and for all requirements – festivals, recording sessions, film, and commercial work. Lots of his work is in France where he is part of different local and international bands. He is known for his sophisticated techniques in his playing style and his versatility with composition and arrangements. In December, 2017 Jean-Baptiste and his Palestinian project partner and bassist, Usama Allati, started “Music Exceeds Borders”. Both are very accomplished bassists that create music in different genres in collaboration with different international artists. The bass becomes the lead instrument in all productions. Music Exceeds Borders has found success in a very short time due to its individuality and creativity in music innovation. He also co-founded a well-established music school in Corsica called Scol'Armunia. It specializes in bass, guitar, polyphonic chant and harmony, as well as early music education for children and masterclasses for accomplished musicians. Though primarily a bassist, he does play guitar in Fire Fingers Band (rock and roll, progressive) acoustic session! He composes all the music for Fight or Die Production (horror, dark humor vids) as well as for other musicians in Corsica. Jean-Baptiste is fluent in Corsican/French (his mother tongues) and very good in English. He is always available for tours, projects, session work, concerts and collaboration. He is well versed in string, guitar and bass arrangements and composition in any genre. Website Developed by Bartolini - Be Ready!